The Austrian spa town of Seefeld has many wonderful features that draw visitors year-round – the fact it has twice been the setting for the Winter Olympics means it’s well equipped for sports fans, but I was keen to try its spa and wellness scene. Arriving into the train station I immediately felt I was somewhere special. 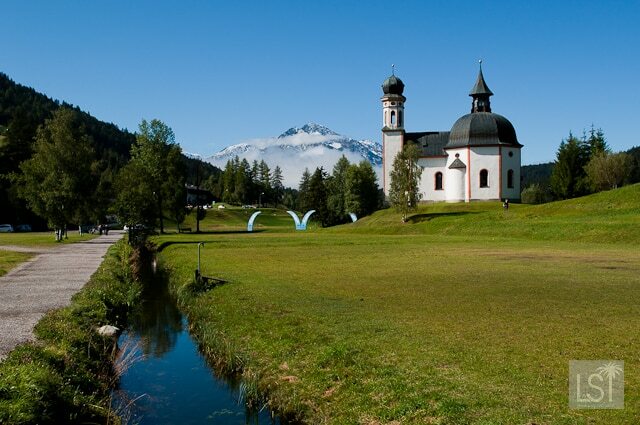 I’d had a 30 minute journey from Innsbruck, and was now captivated by Seefeld’s alpine appeal. The Tirol mountain peaks towered all around, their forested slopes blazing lush green against the bright blue morning sky. After strolling for a mere 90 seconds I arrived at my hotel, the five-star Krumers Post Hotel & Spa. And settling into my room it was clear the hotel was as luxurious inside as it was impressive outside. 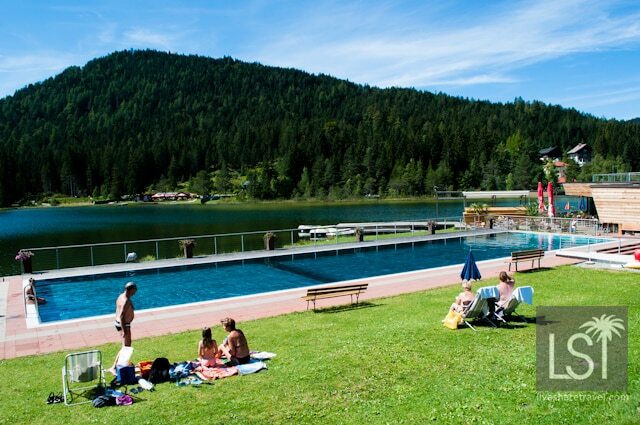 But it was Seefeld’s spa facilitates and beautiful scenery that brought me here. I keenly changed into my swimwear and the hotel’s white bathrobe and headed to the spa. The spa area impressed me with its size and first-class facilities. 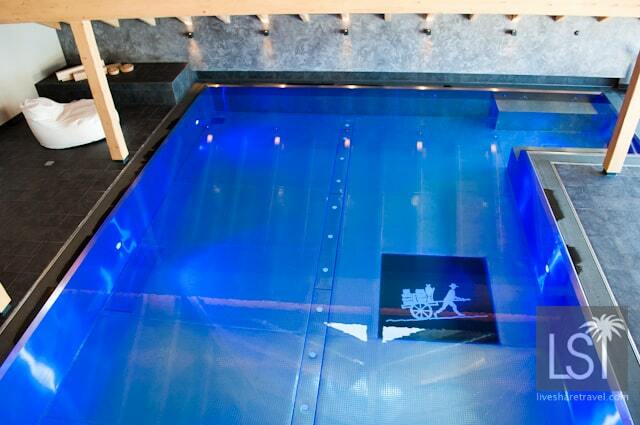 It had a beautiful swimming pool and its rich blue colour immediately began to relax my senses. Heading into the sauna and steam rooms, they were unusually light and airy. As ever with Austrian spas the main sauna area is mixed and for hygiene reasons swimwear is not allowed. A little later on amid the solitude atop the Krumers Hotel, a bit of the mystical east came to the Alps as we went through the Five Tibetan rites. This series of exercises engages body, mind and soul. It is a spiritual as well as a physical routine which aims to boost health, vitality and improve your physical and mental well-being. Next, I was intrigued by the offer of a smovey walk. 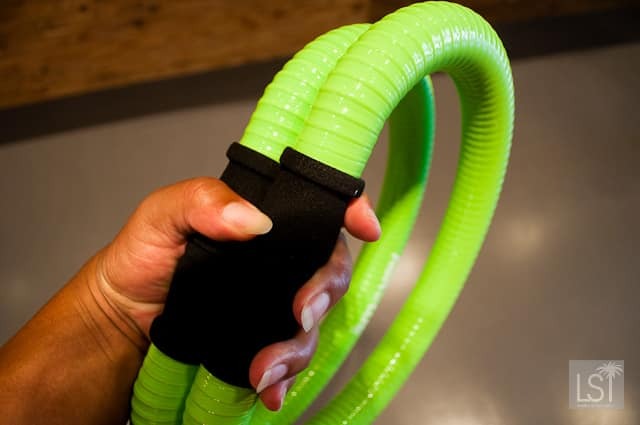 A surprisingly good but gentle form of exercise the smovey is a plastic ring, with steel balls inside which rumble through the ring, increasing your workout efforts. Sounds odd, but having tried it I want smoveys of my own. It is used in a variety of exercise scenario’s walking, swimming or while stationary. I gripped my smoveys and set off as part of an organised walk, besides the delightful rustic route. 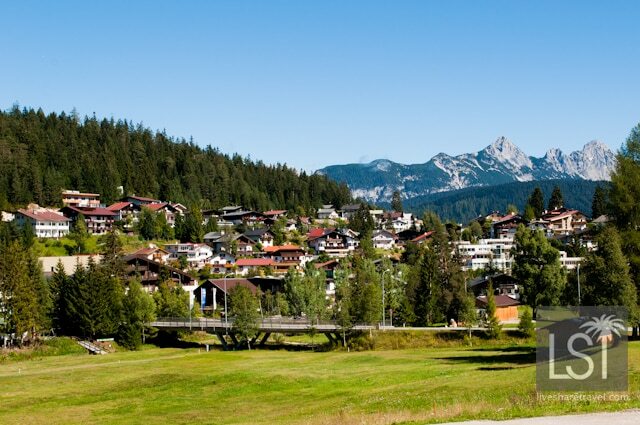 After my spa and exercise time, and feeling very relaxed, I wandered around Seefeld. I was taken by its vibrancy and townsfolk proudly wearing national costumes as they strolled in the late afternoon throng. 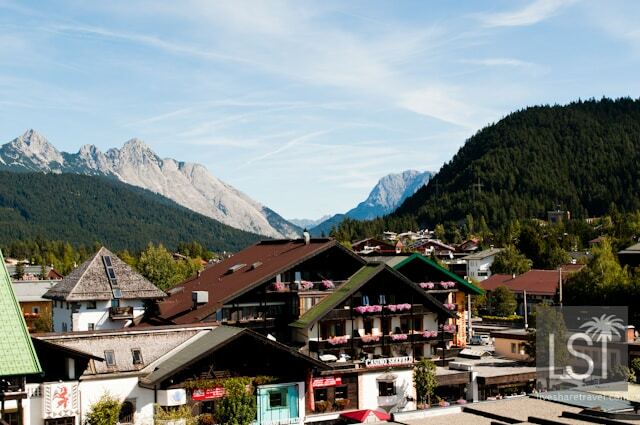 Oozing alpine charm every building perfectly complemented the appeal of this Austrian spa town. Each home or hotel was a wonderful A-frame structure, enriched by vibrant flowers displayed in omnipresent window boxes. The Austrian’s know how to put on an impressive flower arrangement and their collective efforts were clearly appreciated by the huge numbers that paused to photograph them. Then a sweet elderly couple walked hand in hand across the town square, him wearing lederhosen and her in an elegant dirndl. Many women wore dirndls while working in hotels and cafes, but it was nice to see locals self-assuredly wearing traditional Austrian dress. 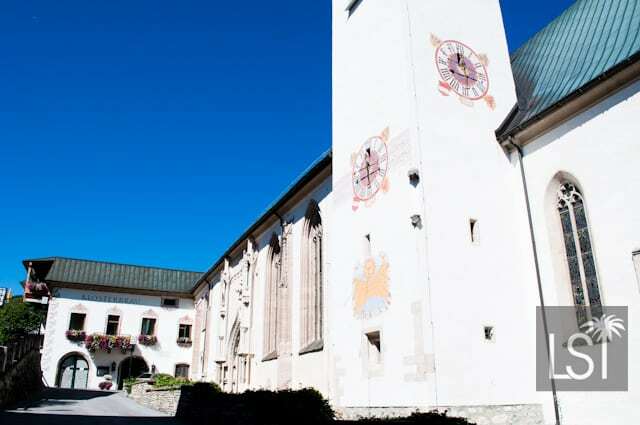 And in a scene virtually unchanged over millennia Seefeld’s sentries backed the town. 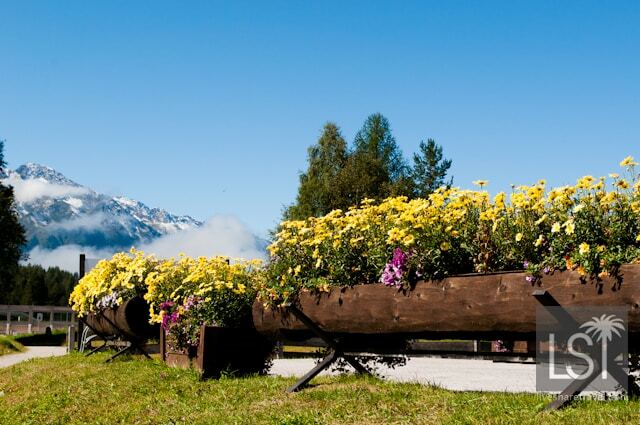 The statuesque Tirol mountains hold this small Austrian spa town in their embrace. With the altitude – we were at almost 1,200 metres – I could sense the clean mountain air surging through my lungs, invigorating body and soul. On I walked out of the town centre and across open land, through golden meadows and green forests rich in their summer colours. Then I came upon Lake Wildsee a calming mountain oasis and took a walk around the serene waters. Seefeld, for me starting to feel like a place of invigoration and renewal. Seefeld has a proud heritage as an Austrian spa town, for many decades the rich and famous have sought solace in this mountain retreat far from the madding crowd. Even today the Klosterbrau Hotel has the preferred tipple of German tennis player Boris Becker set aside in its wine cellar. I visited in late August and there was an array of things to do including lakeside walks, mountains hikes, a great sports training centre, golf and cycling. Alternatively, you could sit in the town centre and revel in the simplicity and splendour of this Austrian spa town. With so many fabulous spas and treatments available you will be spoiled for choice. However, a favourite I tried was the beer bath spa treatment in the Hotel Diana. Here you not only sit in a barrel of beer but you also get your own beer tap and can top up your drink while enjoying the treatment. It was an experience like no other, and completing the treatment with a rest in a hay bed, I felt totally relaxed. Although I had come to Seefeld for wellness and scenery it also had great places to eat. That evening I enjoyed a gourmet meal at the Astoria Hotel including white herring with apple and cucumber salad, roasted fillet of sheatfish and creamy lentils, and mango mousse with chocolate leaves. These sublime dishes were served in a rather imperial dining room overlooking the tree-lined mountains – nature’s Leviathans holding back the hectic world beyond. 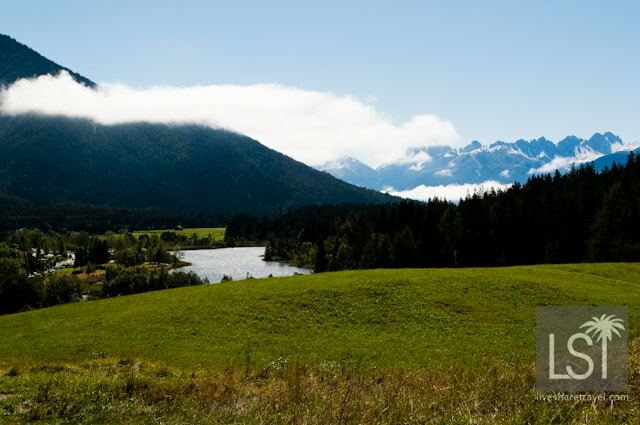 My time there was the perfect antedote to the hustle and bustle of life outside Seefeld’s cocoon – it offered me everything I had sought and much more besides. 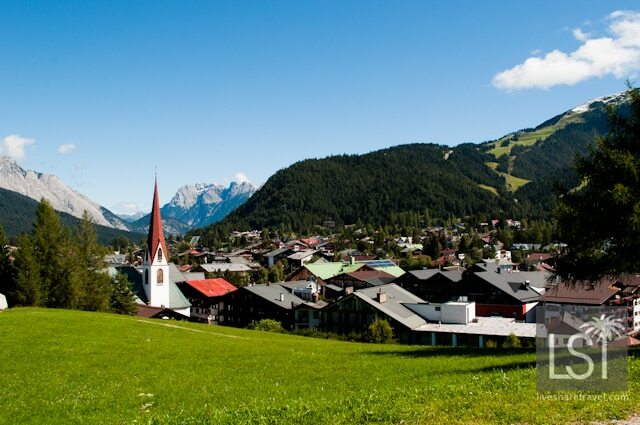 Seefeld is a very special Austrian spa town. This looks like one of the most scenic and relaxing places I’ve read about in a while. I could imagine enjoying major comfort here. It certainly is Nomadic Samuel. 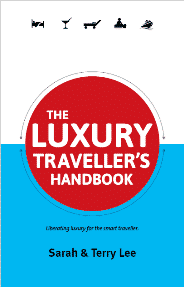 Such a treat to visit – put it on your list! 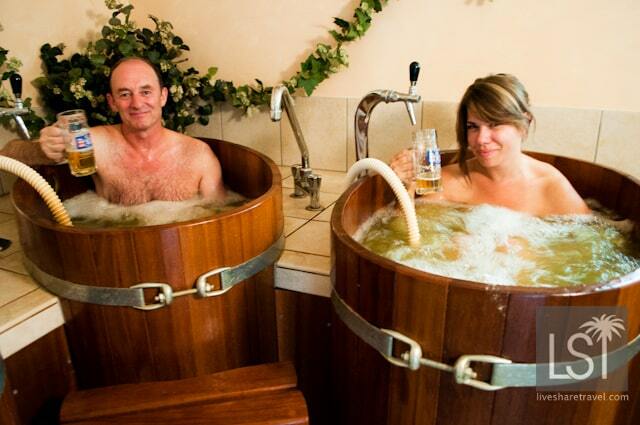 WOW a beer bath! I think the put the chocolate or the milk bath to shame! !New addition to my bucket-list!